If you travel around universities today and if you take the time to engage the professors and teachers, you will soon discover that many of them don’t believe there is any archeological evidence that supports the bible. In fact, many of these guys omit this evidence from their curriculums. Some don’t even know about it. Many universities question the archeological evidence that exists today. 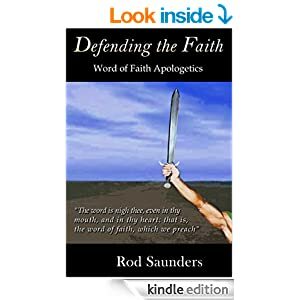 The prevailing belief is that many old testament characters are fictional. They don’t believe in Noah, Joseph, King David, or even Moses. There are even many people who even believe Jesus was a fictional character and that he never existed. So in light of all this, I had many questions that came as a result of these atheistic based beliefs. Is there any real archeological evidence that supports the bible? Is there any evidence that supports any of the bible characters of the old testament? 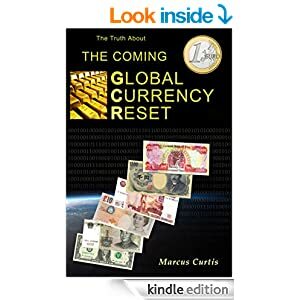 If there is evidence then how did we get to a point where universities around the globe deny this evidence? Through my research I presented a lot of biblical archaeology in the page above this one called Biblical History. At the end of that page you will discover two videos and several links that not only shows archaeological evidence that supports the bible, but the archeology also supports the stories that are found in the bible itself. If there is archeological evidence that supports the bible then why do the main universities around the world omit the evidence? Let’s address that now. I think you will begin to see why the universities have their agendas. In the late 1700’s Scotland entered the so-called Scottish Enlightenment. One of the key figures in the Scottish Enlightenment was man by the name of James Hutton. He came to believe that the earth was perpetually being formed. He was born on June 3rd 1726. At the time just about everyone believed in a young earth. Now the time span for the age of the earth greatly increased due to this Scottish Enlightenment. Some believed the age to be 40 million years, others believed 50 million. Today the suspected age is over 4 billion. Because Hutton believed the earth was perpetually forming he put a much older age on the earth. He developed theories in geology and geologic time. He thought the age of the earth could be determined by understanding how processes such as erosion and sedimentation work in the present day. He is also credited as the first scientist to publicly express the earth was alive and should be considered a super organism. He is the father of modern-day geology and is credited in making it a science. Hutton published a two-volume version of his theory in 1795. In addition to this, people began to believe theories that mankind evolved and this theory was known as the Transmutation of Species. Charles Lyell was born on November 14th 1797. He came up with something called the geologic column. Even though Lyell believed in a much older age for the earth he considered himself a christian. His work was an effort to prove an older age for the earth. Lyell was also delusional! He saw himself as “the spiritual savior of geology, freeing the science from the old dispensation of Moses.” He was born during the height of the Scottish enlightenment. Lyell was born in Scotland about 15 miles north of Dundee. Lyell was friends with Charles Darwin and he encouraged Darwin to write a book. Charles Darwin wrote his famous book called The Origin of Species By Means of Natural Selection, or The Preservation of Favoured Races In The Struggle For Life. In later years this title was shortened to The Origin of Species. Darwin redefined the Transmutation of Species theory and presented an argument for it. Today we know those arguments as the Theory of Evolution. The titans of the gilded age gave money and financed universities around the world through their foundations. The stipulation was these universities needed to teach the Theory of Evolution to qualify for the money, Over time these theories made their way down into the public school system. Prayer and bible reading were systematically removed from the classroom in the early 1960’s. Today many universities have an agenda that opposes any teaching of Moses and the bible as being factual. This is because the bible goes against the theory of evolution and totally contradicts this theory. Instead of pointing to actual archeology they debunk traditional beliefs about Moses. There is another part of the puzzle. The emperor Constantine’s mother was a woman by the name of Helena. She traveled the holy land searching for areas were biblical stories took place. She established many churches in the holy land at locations where she believed biblical stories occurred. In the 4th century she chose a mountain and renamed the peninsula where that mountain is. Today we know it as The Sinai Peninsula and this is where she believed Moses saw the burning bush and received the law from God. Saint Catherine’s Monastery was built by order of Emperor Justinian I. He reigned from 527 AD until 565 AD. 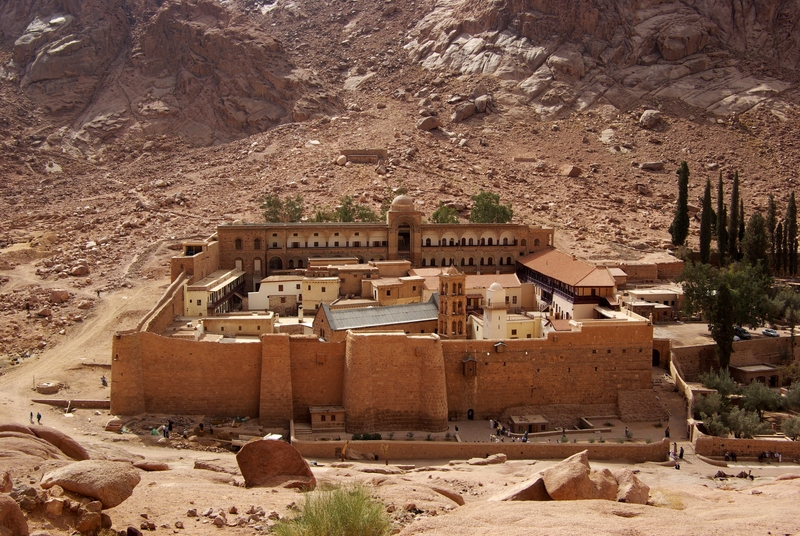 This monastery lies on the Sinai Peninsula, at the mouth of a gorge at the foot of what many believe to be Mount Sinai. It is important to note that this is not the real Mount Sinai. This is not where Moses saw the burning bush. This is not the actual Mount Sinai where Moses received the ten commandments and Arron built the altar to false gods. Over the years this site had an impact on the exodus story and many people are misinformed on the actual exodus event. This site became one of many man made traditions that gripped the church. These man made traditions became entrenched and taught as biblical fact. This map on the right is a traditional view of the exodus story, and this is the evidence many universities use to show Moses and the exodus as being fictional! So now let’s pursue the truth. Now that you have installed PowerPoint viewer watch the PowerPoint! Let’s look at diving expeditions from the actual crossing that goes into Saudi Arabia and see if we can find evidence for the exodus story. Here is a more current diving expedition from a different group of people. This video was shot in 2000. If the gulf of Aqaba is the actual crossing point for the Red Sea then that places Mount Sinai in present day Saudi Arabia. Check out the video below for more information. The movie below is called Mountain of Fire. Could it be that the makers of this film got the location of Mount Sinai right? Even if that were the case they got several other things wrong. I think that one reason for this was due to the fact that they relied on old traditional maps of the Exodus. While I believe there is some misinformation in these videos, It has a lot of video footage on the area that many consider to be Mount Sinai. This is why I included it. Take this movie with a grain of salt. Here is even more evidence to support the Neweiba beach as the exodus account written in scripture. This video is produced by a different group of people on a different expedition. It goes into great detail and provides even more information. This video below shows Ron Wyatt’s search for the Red Sea Crossing and Mount Sinai. To verify the things you saw in the PowerPoint presentation download Google earth and look inside Saudi Arabia to see for yourself. Look at Mt Jebel el Lawz and see the top of the mountain. Also look at the surrounding mountains and decide for yourself. I recommend that you reach your own conclusions. There is a lot of information on the internet for and against this location. I looked at the other side of the argument and considered their points as well. Needless to say, these findings are not without controversy. I don’t subscribe to absolutely everything in the Mountain of Fire video. It should also be known that Ron Wyatt has made other claims that I call into question. I don’t believe everything he has presented as well. I would need to see more supporting evidence before I believe his other claims. I believe that the truth is more important than anything else. It is kind of hard for me to dismiss Chariot wheels at the Nuweiba beach location. Different groups of people also found the same chariot wheels, horse remains, and human remains at the bottom of the alleged crossing point. This is very hard for me to dismiss. It is also hard to dismiss Chariot wheels that date back to the proper time frame of Moses. There are priest chariot wheels too! If this was not the Egyptian Army then who was it? If this was indeed the crossing spot then that places mount sinai in present day Saudi Arabia. In my opinion, it is the evidence found at the crossing spot that confirms Mount Sinai’s location more than anything else. I don’t subscribe to Mr Wyatt’s other findings. For example, I don’t think there is any evidence to support that he found the Ark of The Covenant. However, you don’t throw the baby out with the bath water, and I sincerely believe that it is a possibility that the location of the Red Sea crossing and mount Sinai is where Wyatt and others have claimed. I won’t say that without a doubt Mt Jebel el Lawz is mount Sinai because to be honest, both sides make compelling arguments. In the book of Galatians Paul states that Mount Sinai is located in Arabia and this is where Ishmael lived. Some have said that the Apostle Paul used the AD Roman concept of Arabia in this passage. This would mean that the Sinai Peninsula was part of Arabia. So as you can see there are problems on both sides of the aisle. Is Mt Jebel el Lawz the real Mount Sinai? Is the Neweiba beach the real crossing location? I believe it could be, but I am not certain that it is. I have visited a few opposing websites. While the opposing side speculates on the images and the calfs drawn on this altar, These sites failed to mention an explanation for the Menorahs that are also drawn in that location. They fail to offer any explanation for the Phoenician columns. The top of this mountain is totally burnt. You can pick up a rock and flip it over only to discover that the top of the mountain is only black on the surface. Underneath the rocks are the same brown color as other surrounding mountains in that region. This is not volcanic rock! The opposing websites I visited claims that this is a natural process that happens over time. The only problem with this theory is the fact that there is a definite dividing line where the black stops and the brown begins. (See Photo) The actual rocks are brown underneath and the whole mountain top was definitely burnt. So what really happened? And why did this so-called natural process stop at that line. How come the whole mountain is not black through this so-called process. The problem seems to be that if this is really Mount Sinai then Moses was a real person and that presents a problem for atheist and evolutionist. So the agenda becomes discredit this find and any biblical find so we can cling to a theory that only brings eternal death and destruction! Who cares what the truth is right? just as long as we can be our own gods we don’t need to account to anyone for anything! The only problem is this is the same lie that satan told Eve in the garden of Eden! It was just rebranded with a different spin! It is also interesting to note that Ironically the name of this mountain is also known locally as ‘Jebel Musa’ which is Arabic for ‘Moses’ Mountain’.